This is a project I found on interactivearchitecture.org that looked interesting to me. Luminous ceilings provide spacious room impressions and can provide different types of lighting. Besides this, they are, however, also metaphors of the natural sky and a mirror of an aesthetic and architectural debate. The historical observation of ceilings reveals that the image of heaven, which reached a theological culmination in the luminous Renaissance stucco techniques, turned into large-scale light emanating surfaces. 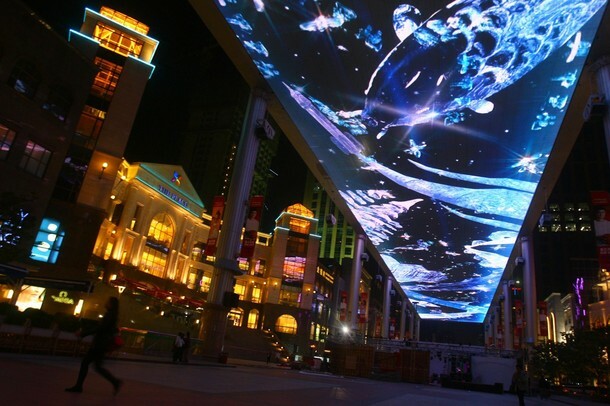 Even if the luminance of contemporary LED screens has increased intensely and thereby creates a point of attraction, designers still look to establish a pictorial language for an impressive appearance.